The Go Power! 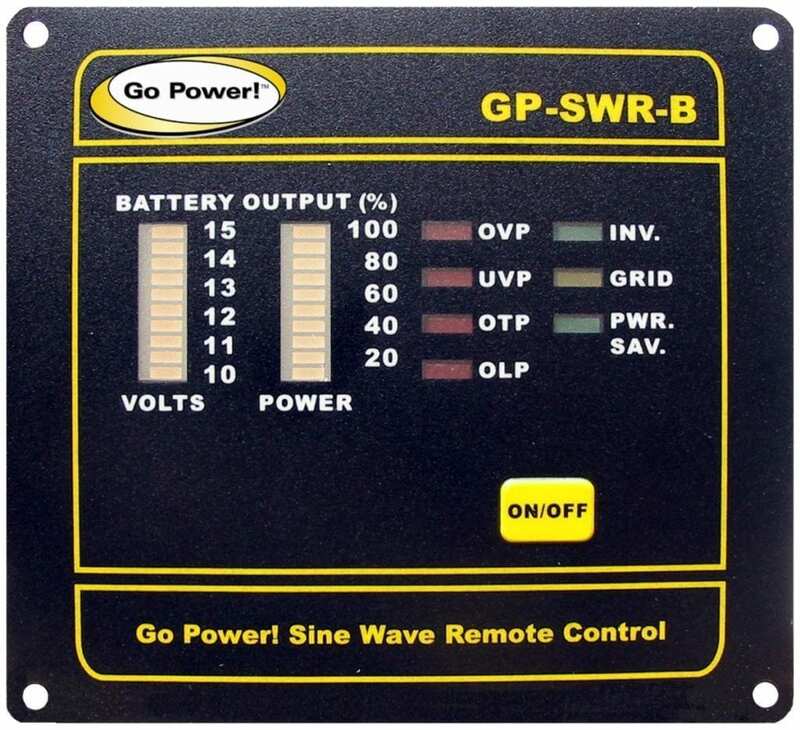 's Pure Sine Wave Inverter Remote GP-SWR-B is a pure sine wave inverter remote for 1000, 2000, 3000 and HS1500 watt models. The Go Power!’s Pure Sine Wave Inverter Remote GP-SWR-B is a pure sine wave inverter remote for 1000, 2000, 3000 and HS1500 watt models.